The BFI London Film Festival is expensive. Tickets range from £9.90 (if you're a student) to £25. Unless you are a critic or get free tickets to films through nepotism you are unlikely to be able to see more than three films. Assuming this is the case, make sure you are smart with your choices, meaning a) resist the temptation to see films that come out a month later in UK cinemas (Good Time, Beach Rats, The Florida Project), b) don't see a film that you probably plan to see in the cinema with your friends anyway (Three Billboards, Journey's End (not)), c) try to see stuff that will be hard to catch on a big screen elsewhere. With that in mind, here are three suggestions of movies to watch at the BFI London Film Festival, but of course feel free to ignore them and go to whatever you want. 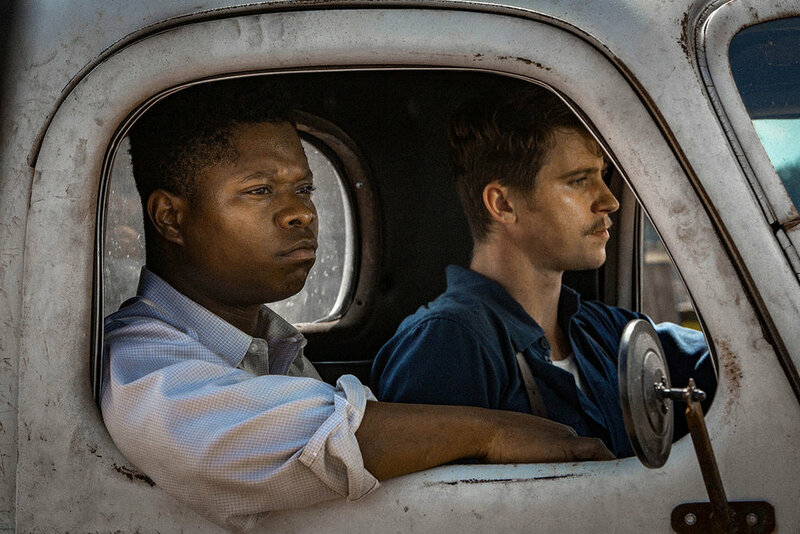 Mudbound is a 1940s set epic southern gothic about neighbouring black and white families wading through the Mississippi land. It deals with racism, oppression and everything else that grows out of the soil of America's consciousness. It is directed by Dee Rees, someone who has the opposite of ignorance on this subject since she is the opposite of a white man. That said, the story sounds like William Faulkner's social conscience vibrating on the plucked strings of the blues (Blind WIllie Johnson is on the soundtrack). And it has Jason Mitchell who stole the show in Straight Outta Compton as Eazy Muthaphuckkin E. Rees' first film, Pariah, was a realist marvel, and if this movie is half as good as that, with several times the budget, it should be exceptional. ON THE BEACH AT NIGHT ALONE dir. Hong Sang Soo. Hong Sang Soo is Woody Allen if he was less of a punk and an egotist, and South Korean. His movies are stubbornly similar tales of filmmakers and the victims of their masculinity. They have strong female characters who defy these soju-soaked monomaniacs and wander to temples on their own. They have funny, relatable moments like a homesick tourist in Paris staring at somebody's oysters through a restaurant window and being shooed away (Allen would never allow his protagonist's humiliation to occur so far removed from his intellect). They are about the repetitive instances of our daily lives and the absurdity that comes from our powerlessness to prevent them. They are about me and you and they barely ever come out in cinemas here, so try and see this one. ANA, MON AMOUR. dir: Călin Peter Netzer. Romanian films with commas in them are usually good. The more commas the better. Check out 4, Months, 3 Weeks, 2 Days (one of the few modern masterpieces) if you don't believe me, along with Tuesday, After Christmas (the comma here is ambiguous) and Police, Adjective. The Romanian New Wave marks the only significant national cinema movement of this century, so it's always worth seeing one of their films if you can, especially when it comes from the pedigree of the director of Child's Pose, a realistic thriller about social privilege and the Oedipus complex that won the Golden Bear at Berlin in 2013.